Home values across Australia’s largest capital cities have been falling since they peaked in late 2017. 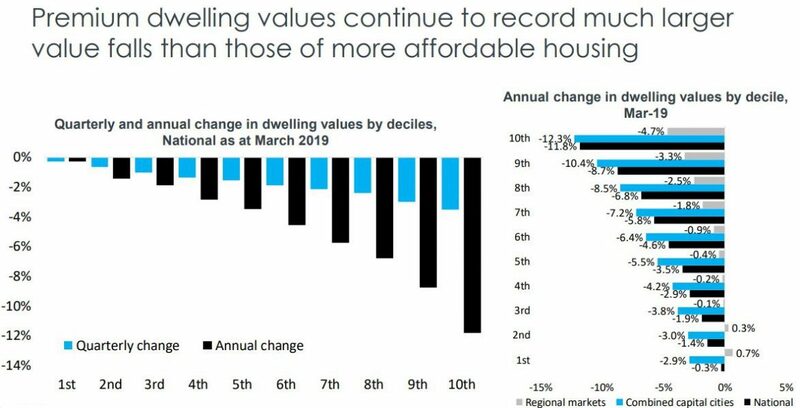 National dwelling values fell for the 17th consecutive month in March 2019 however there was a moderation of the rate of decline in house prices, the -0.6% monthly fall was the smallest since October 2018. However it looks like this will be the biggest and longest national decline in home values for almost 40 years (or since records began in 1980). First buyers went on strike, now sellers are holding back unless they really have to sell. And while the property markets have started 2019 with a positive note, with more interest from buyers, auction clearance rates rising, the banks chasing more business another hurdle has been put in our way. 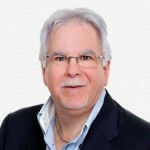 A federal election – elections create uncertainty and when there’s uncertainty buyers put their hands in their pockets. Over the last month, combined capital city values fell by -0.7% while the combined regional markets recorded a -0.4% fall. 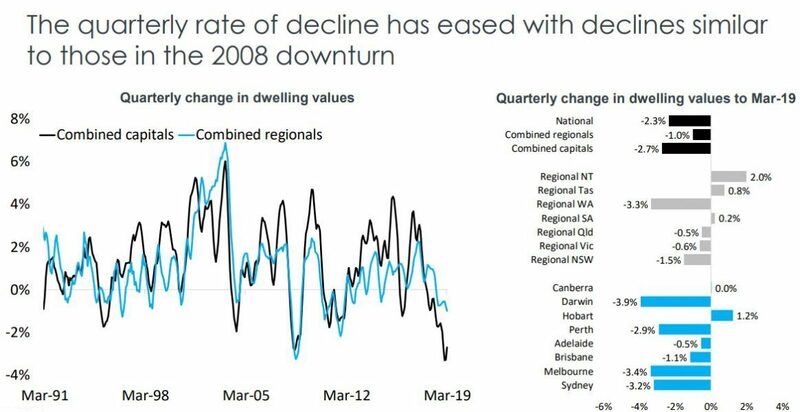 In March 2019, dwelling values were lower across all capital cities except for Canberra where they were unchanged and Hobart where they increased. Over the past year, national dwelling values have fallen by -6.9% which is their largest annual fall since February 2009. Combined capital city dwelling values were -8.2% lower and combined regional market values were -2.1% lower. While the current slump in property values resemble those in 2008 during the Global Financial Crisis, this time round our economy is sound, jobs growth is strong, unemployment rates are at historic lows as are interest rates. 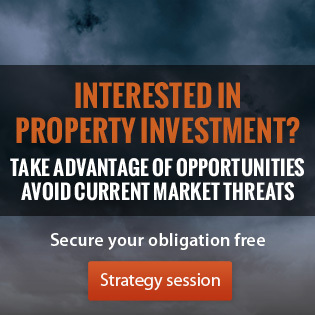 In other words, the property market fundamentals are sound, yet the credit squeeze and the continual conveyor belt of negative media has caused a crisis of confidence. 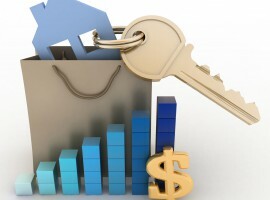 As usually happens when the market turns, the higher end of the property market suffers more. This is really an area of discretionary spending. Maybe you don’t need to upgrade your $5 million home to that $7 million mansion at the moment. In due course the cheaper, more affordable areas will also suffer as wages growth is likely to be low in these suburbs. The Sydney property market peaked in mid 2017 after dwelling values surged almost 80% since the beginning of the last cycle in 2012. The Sydney market is now down 13.9% since values peaked in July 2017. 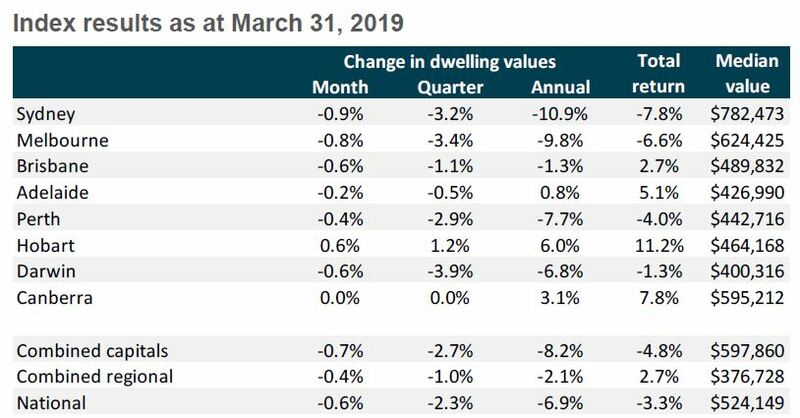 Interestingly there has been a larger decline in the value of houses (-15.2%) in Sydney than for Sydney apartments (-11%) and more expensive properties are experiencing a bigger downturn than cheaper properties. 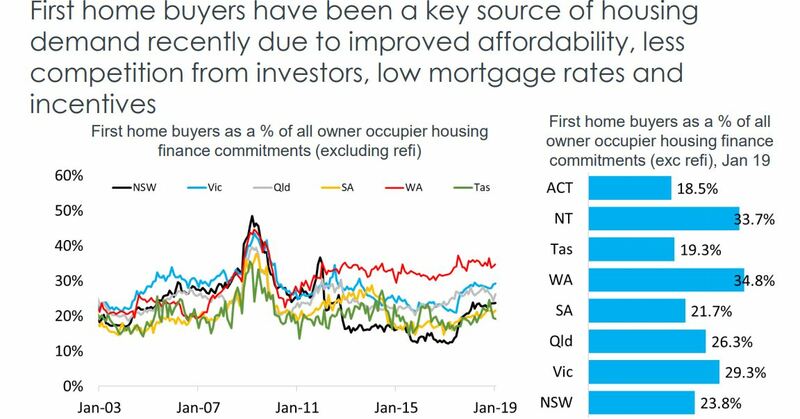 This is due to affordability factors as well as a surge in first home buyer activity which is supporting demand across the more affordable end of the market. First home buyers are active in Sydney creating stronger markets over the lower quarter of the market – especially apartments. 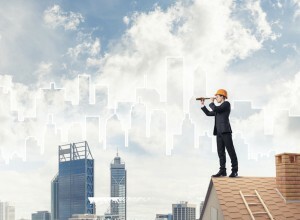 The Sydney housing market is likely to remain weak for the first half of this year in part due to the downturn in investor activities at a time of oversupply of new apartments on the market but things are likely to pick up in the second half of the year after the Federal election. Obviously some segments of the Sydney property market are likely to fall considerably more than that average this year (we’re looking at you off the plan properties), while some segments of the market are holding their own. 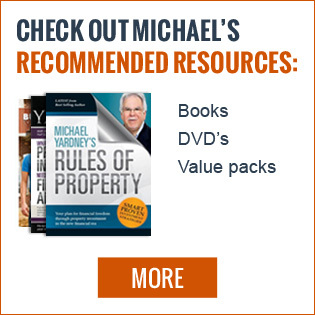 Investors are abandoning the off the plan apartment sectors and many of those who purchased off the plan a few years ago are now having trouble settling with valuations coming in on completion at well below contract price at a time when banks are more reluctant to lend on these properties. But in the background strong economic growth and jobs creation is leading to population growth and ongoing demand for property in Sydney. 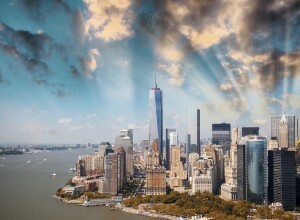 At the same time international interest from tourists and migrants continues. Sydney is currently offering investors an opportunity to buy established apartments in the eastern suburbs, lower north shore and inner west in a “buyer’s market” with little further downside and the prospect of the market moving forward again in late 2019 or early 2020. 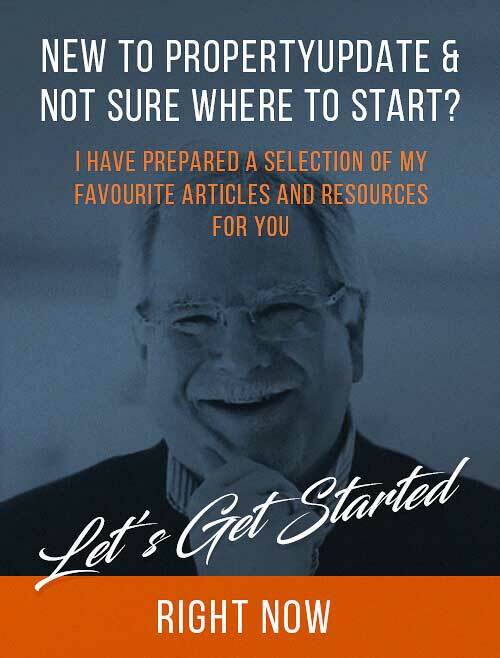 If you’d like to know a bit more about how to find these investment gems give the Metropole Sydney team a call on 1300 METROPOLE or click here and leave your details. The Melbourne property market peaked in November 2017 and Corelogic report a 3.4% fall in values over the 1st 3 months of 2019, taking the annual decline since the market peaked to -10.3%. But the Melbourne property market is very fragmented, with values of detached houses having fallen more (-13%) than apartments (-4%). s more first home buyers supporting housing demand across the lower price points of the market, thanks to the First Home Owner incentives. With almost 36,000 properties being advertised for sale at the end of March, buyers remain in the driver’s seat. This is evidences by the typical selling time extend from 28 days a year ago to 61 days over the March quarter. The most expensive quarter of Melbourne properties recorded a 13.1% fall in value over the last year while the least expensive quarter of the market is down by just 2.1% over the same time supported by first home buyers taking advantage of stamp duty concessions. Overall property values will be underpinned by a robust economy, jobs growth Australia’s strongest population growth and the influx of 35% of all overseas migrants. Remember…Melbourne rates as one of the 10 fastest growing large cities in the developed world, with its population likely to increase by around 10% in the next 4 years. 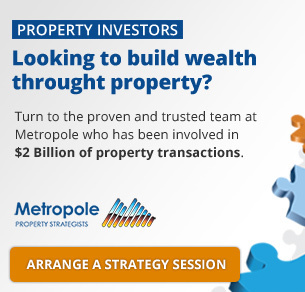 If you’d like to know a bit more about how to find investment grade properties in Melbourne please give the Metropole Melbourne team a call on 1300 METROPOLE or click here and leave your details. 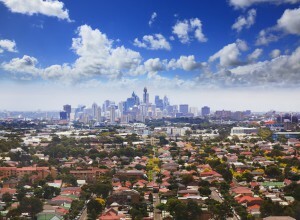 Many have been predicting that now is the time that the Brisbane property will finally have its turn in the sun, but despite performing better than much of Australia, Corelogic report that recently market conditions have softened a little. However the markets are very fragmented, with apartments continuing to underperform free standing homes. 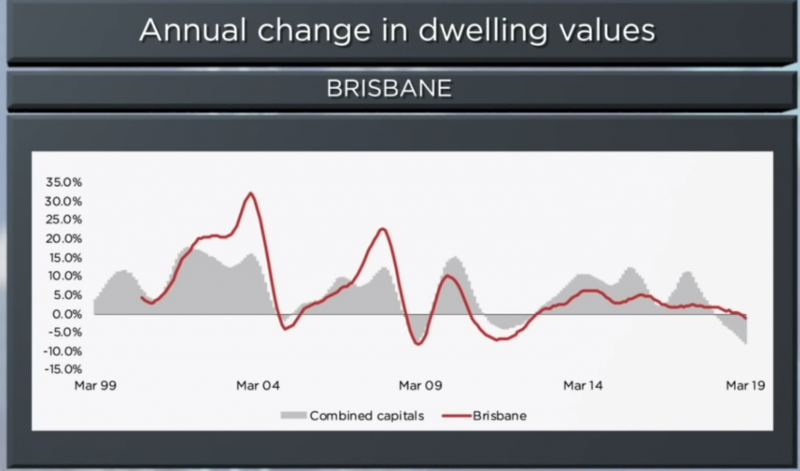 Brisbane apartment values remain 12.2% below their peak in 2010 but currently the oversupply of new apartments is slowly being soaked up, however rents and values have yet to rise. We are not expecting the Brisbane market to have a substantial correction like Melbourne and Sydney are experiencing considering the underlying strong demand from home buyers and investors from the southern States at a time when yields are attractive and housing affordability is relatively healthy. Brisbane’s economy is being underpinned by major projects like Queen’s Wharf, HS Wharf, TradeCoast, Cross River Rail, the second airport runway and the Adani Coal Mine, but jobs growth from these won’t really kick off for a few more years. In the meantime, a healthy level of affordability at a time of increased interstate migration from Sydney and Melbourne and the return of local and interstate investors seeking strong rental yields plus capital growth should help make 2019 a good year for Brisbane property. Our Metropole Brisbane team has noticed a significant increase in local consumer confidence with many more homebuyers and investors showing interest in property. 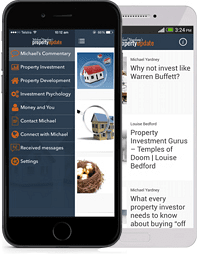 At the same time we are getting more enquiries from interstate investors there we have for many, many years. 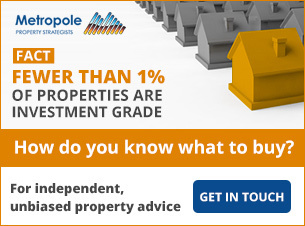 If you’d like to know a bit more about how to find investment grade properties in Brisbane please give the Metropole Brisbane team a call on 1300 METROPOLE or click here and leave your details. Adelaide’s housing market has recently shown some weakness after a long run of steady and sustainable growth. Adelaide remains the most affordable capital city, but the first quarter of this year saw dwelling values fall 0.5%. 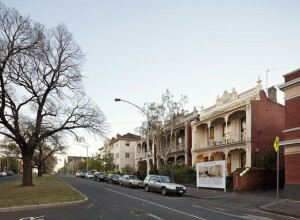 However, over the last 12 months Adelaide house values are 0.7% higher and unit values are 1.2% higher. One sign of the slowing Adelaide property market is that that homes are taking an average of 54 days to sell compared to a year ago when the average selling time was 49 days. 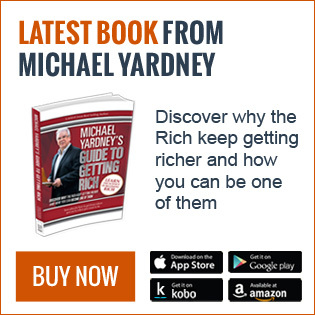 While things look good for Adelaide property in the short term, over the next few decades the bulk of Australia’s long-term jobs growth, economic growth and population growth will occur in our 4 big capital cities meaning there are better locations for long term wealth creation that Adelaide. 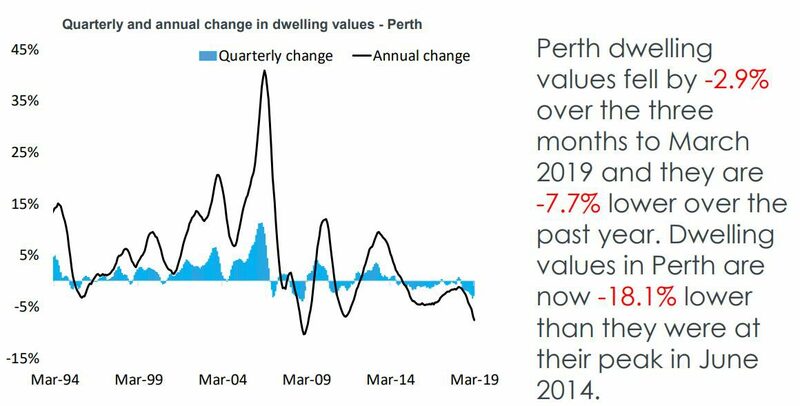 Perth has recorded a further reduction in dwelling values, with the market down 2.9% over the quarter, taking values 7.7% lower over the past twelve months and 18.1% lower since peaking in 2014. The median house value in Perth is now the lowest of any capital city but housing affordability being the best it has been in a long time, local confidence is low with poor economic conditions, relatively high unemployment and subdued migration levels. 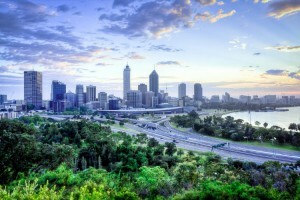 Like elsewhere around Australia, the markets are fragmented with Perth’s most affordable suburbs recording weaker conditions relative to the expensive end of the market, with dwelling values down 8.2% over the past year across the lower quartile while upper quartile values were down a more moderate 7.2%. Buyers are still very much in the driver’s seat across Perth, with properties taking an average of 72 days to sell, compared to 56 days a year earlier. 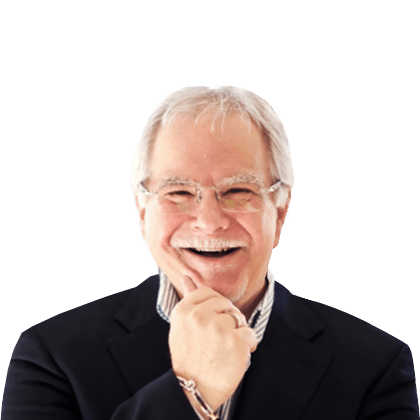 It’s much too early for a countercyclical investment in the west – I can’t see prices rising significantly for a number of years. Hobart has been the best performing property market in the last three years, but the rate of growth is now slowing. It’s likely the Hobart market will continue to lose its momentum over the year. Over the last few years too many investors chased the Hobart “hot spot” at a time when there was a lack of employment drivers, insufficient population growth and not enough infrastructure spending. 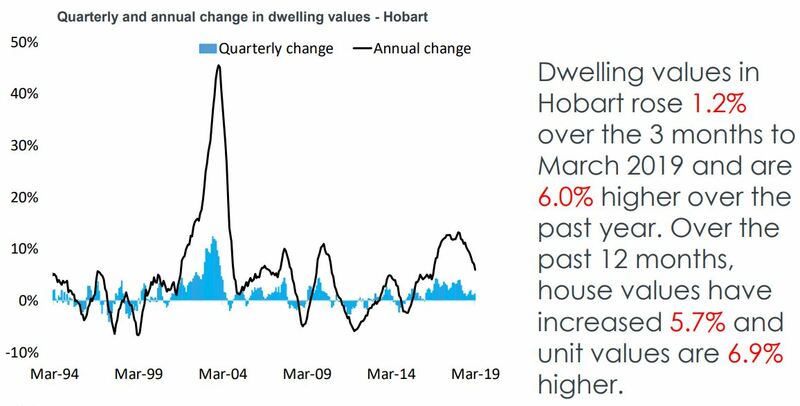 Remember home buyers create a property market (they make up 70% of buyers) and investors create property booms – which is what’s happened in Hobart. And Hobart is too small a market to be a long term “investment grade” proposition. 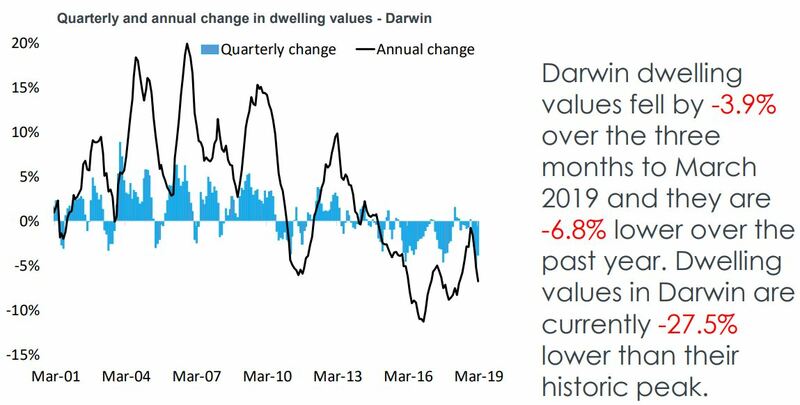 The Darwin property market peaked in August 2010 is still suffering from the effects of the end of our mining boom today with a very soft employment market, lack of migration and infrastructure spending. 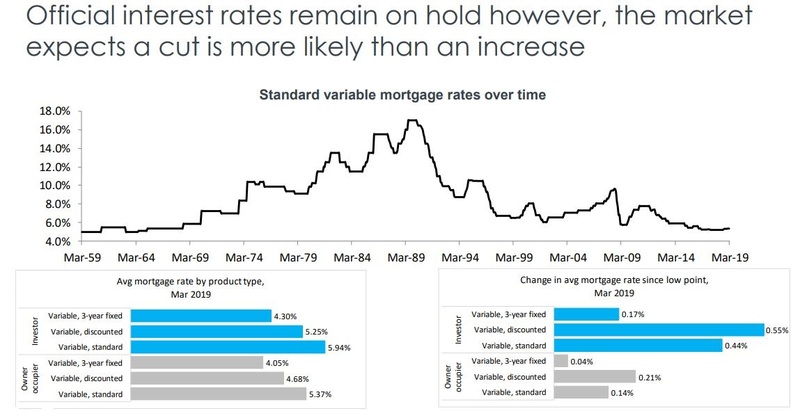 Currently values are 27.5% below their historic averages and it is unlikely we’ll see these types of house prices again in the next decade. 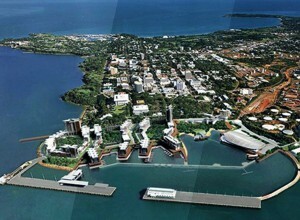 The small size of the Darwin market makes it more susceptible to local events and Darwin typically has a higher and more variable vacancy rate, a product of a large transient working population. 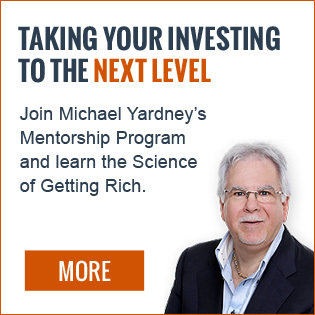 Darwin does not have significant growth drivers on the horizon and would be best avoided by investors. While economic growth in the A.C.T is projected to slow down in the 2019 financial year, it is likely to remain above the national average. Population growth is expected to remain strong, which will support underlying demand for dwellings. With public sector employment accounting for more than 40% of jobs in the Australian Capital Territory, if history repeats itself the uncertain political climate leading up to the federal election later this year will reduce local consumer confidence and dampen housing demand a little. 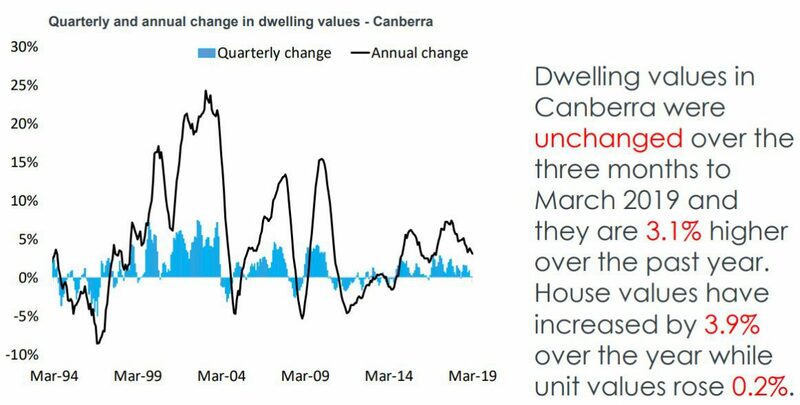 But, as always, this will correct itself after the election and Canberra’s property market is likely to continue to perform well in the medium term. Corelogic’s estimate of settled sales is down 11.3% nationally year on year, Adelaide, Darwin and Canberra were the only capital cities in which sales volumes rose over the year. 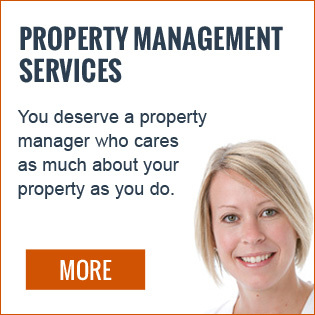 Rental markets continue to trend lower however, however rents do tend to lift at this time of year. 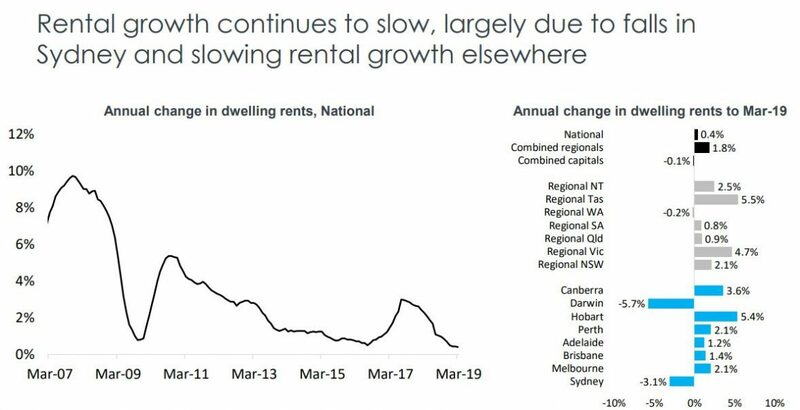 National rents were 0.3% higher over the month and 0.4% higher over the past year which was their slowest annual rate of growth on record (since Corelogic started collecting data in 2005). Rental yields have continued to lift from their record lows as rental growth outpaces value growth, however yields generally remain well below the long term average in most cities. Vendor metrics have generally softened, with the number of days to sell a property and vendor discounting rates trending higher while auction clearance rates are higher than they were late in 2018 but much lower than a year ago with volumes also much lower. 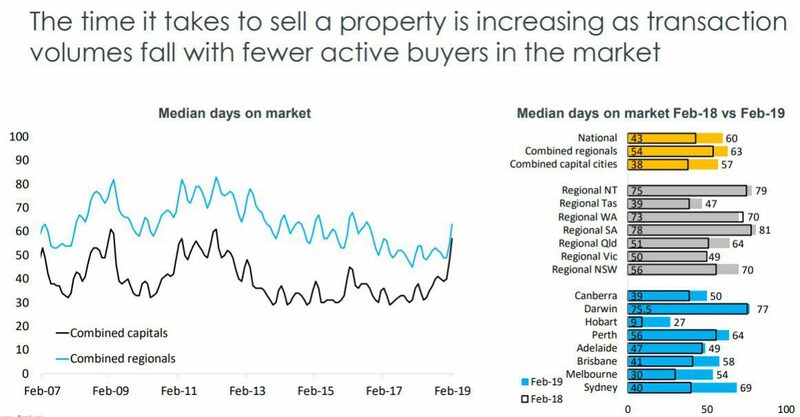 Vendors seem to have got the message that it isn’t a great time to sell, with fewer new listings being added to the market than over recent years, while total advertised stock levels are tracking much higher, due to a slower rate of absorption. 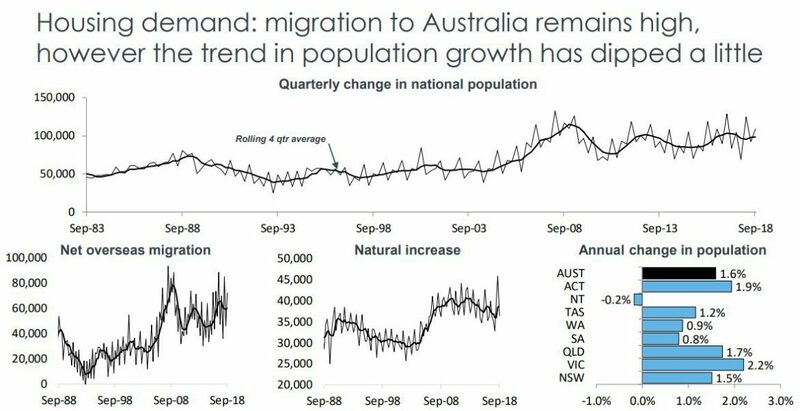 Population growth, one of the big drivers of our property markets has eased over the twelve months ending September 2018, as both the rate of net overseas migration and the rate of natural increase fell. 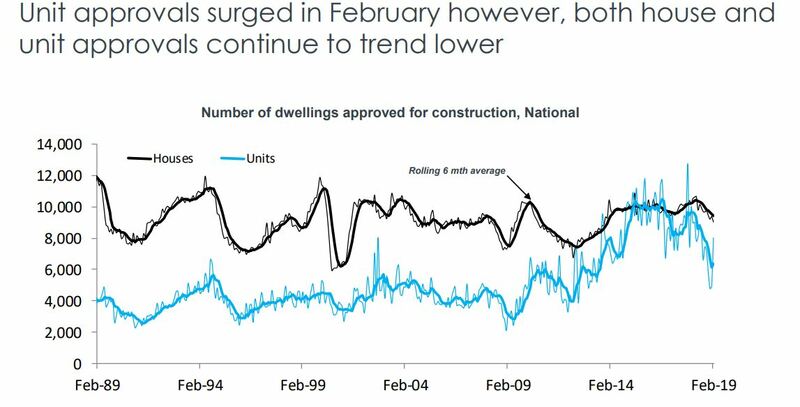 Dwelling approvals are trending lower and expected to fall further, despite a big rebound in unit approvals in February 2019. We’re experiencing a credit squeeze with APRA’s macro-prudential controls still restricting lending. 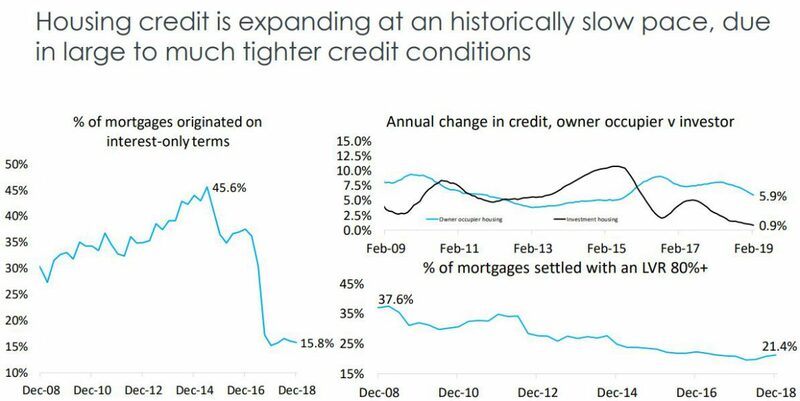 In fact, housing credit growth over the year to February 2019 was at an historic low level. Housing finance data and credit aggregates highlight the slowdown in mortgage demand with both owner occupier and investor demand falling. 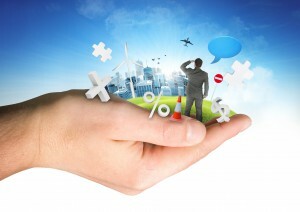 Official interest rates remain at 1.5%, however we’re likely to experience 2 cuts in rates before the end of the year. 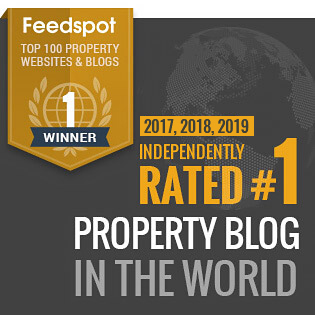 We’re clearly in for interesting times in property, with moderate price growth in some locations and virtually no growth in others and falling prices in yet others. And our markets are likely to take a breather over the next month due to the Easter break, school holidays and the election campaign. Currently Australia’s property markets are very fragmented, driven by local factors including jobs growth, population growth, consumer confidence and supply and demand. This makes it an opportune time for both home buyers and investors to buy property at a time when they’ll face less competition. 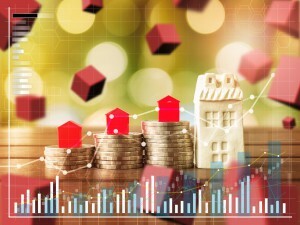 Remember that our property markets are behaving as they always do and some of the best profits are made by investors at this stage of the cycle. That’s because these downturns are only temporary, while the long term increase in value of well located capital city properties is permanent. 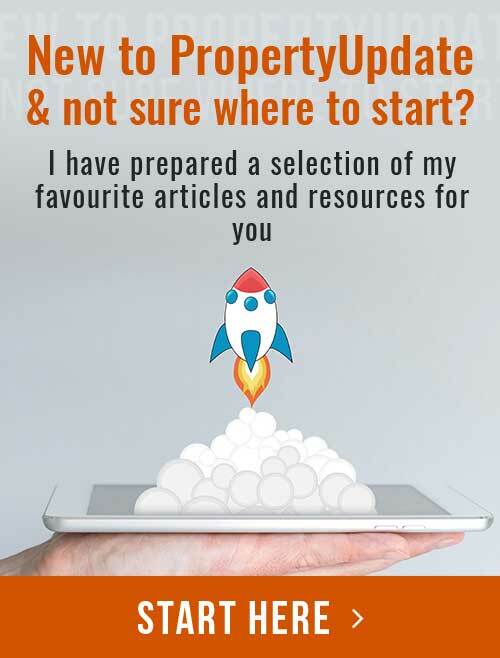 However correct asset selection will be more important now than ever, so only buy in areas where there are multiple long term growth drivers such as employment growth, population growth or major infrastructure changes. Similarly, suburbs undergoing gentrification are likely to outperform.